Dining Review: Five Stags – Wellington. Summary: The food is decent – though you pay for it. Food took too long to arrive. Dine here if you don’t have anywhere to be afterwards. I had bought two of these vouchers, but I couldn’t use both vouchers to pay for the meal for both mine and my date’s meals as the small print says only one voucher can be used for two people. This means I still have a $20 voucher to use here. Also – only 25% of the voucher can be used to pay for alcohol. The beer selection isn’t excellent. They have Mac’s on tap – including the Mac’s Green Beret, and Mac’s Three Wolves – though the Three Wolves was tapped out at the time. I’m glad the the macrobrewers like Mac’s, Monteith’s and Speight’s have been getting on craft beer trend – it does mean that a halfway decent beer is more likely available when visiting more beer conservative pubs. I’d come here on a date – we were eating here before going to a movie afterwards. We arrived at about 5:20pm, and our movie started at 6:30pm. We placed our order at 5:30pm, I ordered the chicken, and my date ordered a burger. The meals arrived at 6:05pm. This did put a bit of a tension on the date, and meant we couldn’t really relax eating our meals as we didn’t want to miss the movie. In my opinion, thirty minutes for a meal to arrive is too long. 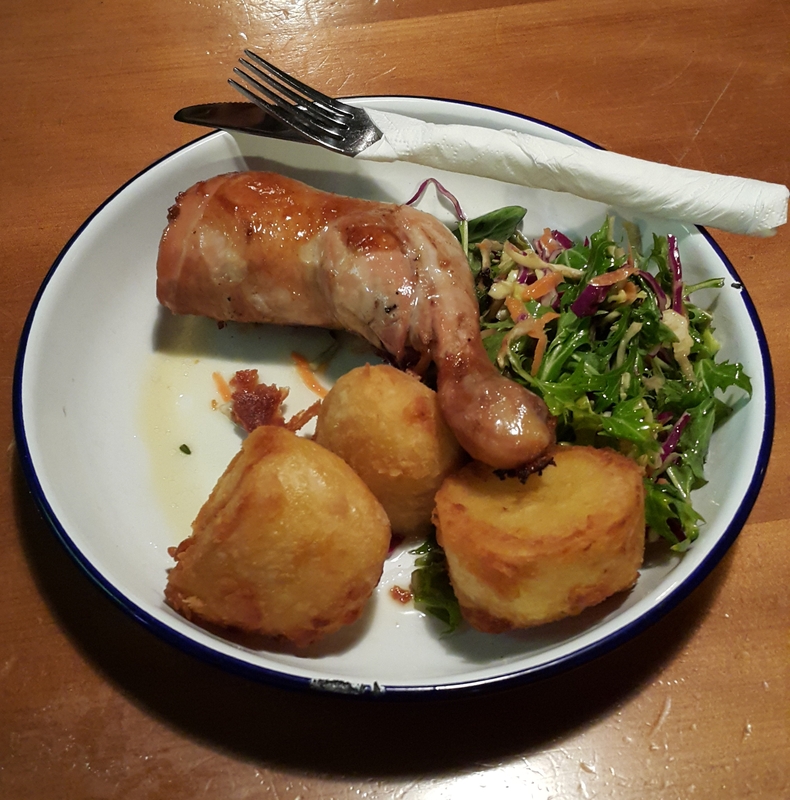 It’s possible that the meal took longer because I’d ordered the chicken, so that’s something to consider for future dining experiences – if you have somewhere to be afterwards – don’t order something that requires cooking in an oven. The meal itself was simple, but yum. Lovely crispy potatoes, and yummy salad. Decent portion size. Price was $22 which is pretty standard, but there are cheaper places to dine. 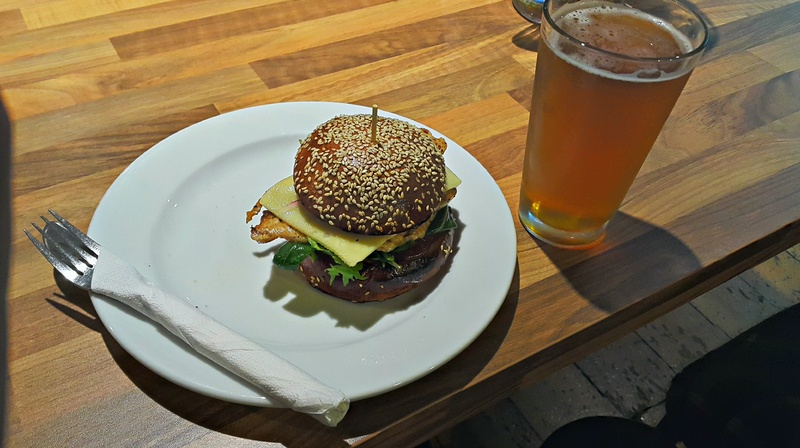 Dining Review: The Office – Newtown, Wellington. Summary: Nice spacious place, good to come for a casual meal and watch sport. It was partly by chance that I decided to eat here. I was heading into to town to watch the All Blacks vs Australia rugby game with people from ceroc. The bus stop showed the next bus was 14 minutes away – which was a far too long wait for me I decided, so I retreated back to The Office to have a beer, a burger, and watch the game there. The Office has a decent range of beers on tap and in bottle. From memory, they have a Tuatara and Panhead on tap, and Emerson’s and others in bottles. The Panhead Supercharger costs $8 for pint or $32 for a five pint jug – quite reasonable. I ordered the chicken burger which cost $12.50. The portion is quite small, but at $12.50 I’m not complaining. If you were dining with a friend I would suggest ordering a side dish to share as well. The burger was nice. The burger took about fifteen minutes to arrive, which is good. Overall – I recommend this place not for the food, but the atmosphere. The bar three levels, and large TVs all through out the area, which makes it great for watching the sport. 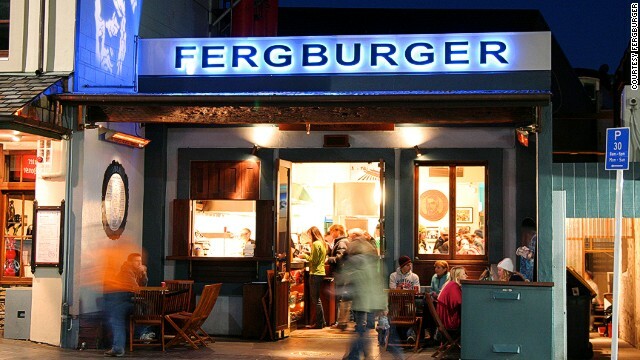 It’s the kind of place you can feel very relaxed in while enjoying beers and eating food. Certainly – if you’re living near Newtown, and are looking for a place to watch the game – The Office would be it.